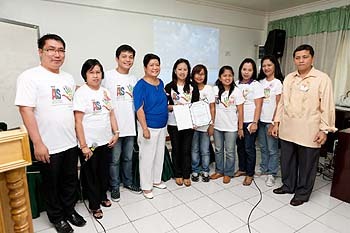 PF-Philippines received accreditation as a Service Provider for the Department of Education’s Alternative Learning System (ALS) during a 5-Day Training Workshop held at the Regional Educational Learning Center in Marikina City on April 11-15, 2011. The accreditation is in accord with the first of the United Nations Millennium Development Goals, “Achieve Universal Primary Education,” and the international initiative "Education for All 2015." Begun in 2004, the Alternative Learning System seeks to improve the quality of life in communities by raising literacy levels of “target areas” in the Philippines—areas with high illiteracy rates, a large population of out-of-school youth, or communities where young people are displaced due to insurgency disruption. Other target learners for ALS can include unemployed, underemployed, and out-of-school youths and adults; elementary and secondary school drop-outs; women working in the home; domestic and industrial workers; members of cultural minorities and indigenous people; persons with disabilities; and prison inmates as well as and rebel or government soldiers. Most of these target learners live below the poverty line, predominantly coming from depressed, disadvantaged and underserved communities. During the 5-day workshop, selected GPF trainees not only learned the roles of service providers and instructional managers but also the pedagogical approach of a Flexible Learning System and Self Instructional Learning Support Strategies, which are significant in ensuring the achievement of ALS goals. They also learned the basic how-to’s of the recruitment of learners, roles and ideals of a ALS learning center, and strategies to sustain learners’ motivation. 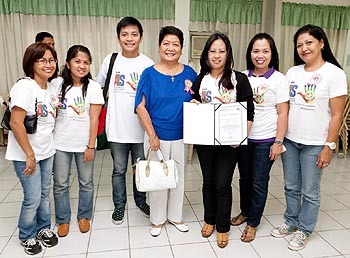 ALS conducts classes in Community Learning Centers like Barangay halls, sports centers, and even playgrounds and at the homes of the learners. Methods of teaching include study groups, print and audio-based learning, tutoring and mentoring, and home visits, with instruction in local dialects, Filipino or English. 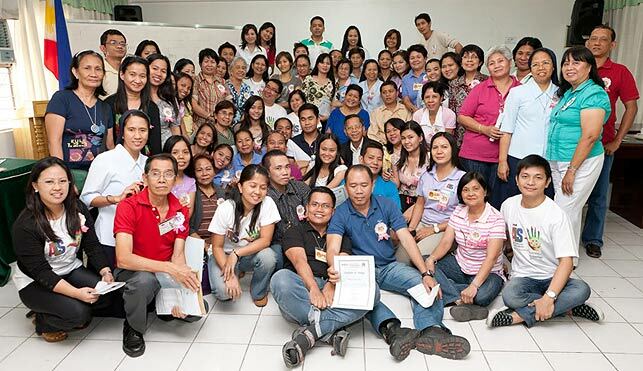 GPF-Philippines instructors will work in Community Learning Centers in four areas in Metro Manila: Caloocan City, Malabon City, Quezon City and Makati City. Every class consists of a minimum of 25 students for a ten-month learning program. “This was an unforgettable experience as we step toward the challenge of social and economic change, and the reduction of poverty in the country,” one educator shared during the closing ceremony.